The construction of the Temperate House was predicated on the Victorian obsession with observation of the natural world. Now, the building it itself is subject to intense scrutiny as part of its redevelopment and renewal, a five-year project due for completion in May 2018. 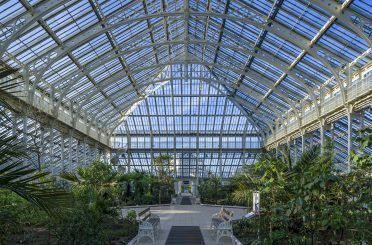 The past has left indelible traces upon the architectural fabric of the Temperate House and these provide vital evidence for today’s designers, curators and communities, who are equipping the building for the next phase of its life. In his theory of evolution, Charles Darwin proposed that living beings were ‘all netted together’ through a common ancestry. At Donald Insall Associates, we work within the concept of ‘living buildings’ and so Darwin’s ideas are of intense interest to us: in order to best plan for a building’s future we must first understand its history, architecture and function, because all are connected and part of its evolution. Memory, both autobiographical and collective, is one of the most important connectors, a strand that binds both physical fabric and communities past and present. Plant collecting, as pioneered at Kew, provides vital scientific information that helps us classify and better understand the living world, an activity that surged in popularity in the Victorian era. The Temperate House at the Royal Botanical Gardens was the embodiment of this new learning. It was designed by Decimus Burton, whose other work at Kew includes entrance gates and the majestic Palm House. Temperate House is a series of five pavilions built on a raised earth mound, situated on axis with the Pagoda. Construction commenced in 1859, with its centre block and octagons complete by 1863; this was followed in 1897 and 1899 by the North and South blocks. Twice the size of the monumental Palm House at 4,880 square metres and extending to 19 metres in height, the Temperate House is the world’s largest Victorian glasshouse. Donald Insall Associates was appointed in 2012 as conservation architect as part of the large multi-disciplinary team. As part of the enabling works, the building was stripped of its living botanical collection, save for nine trees which were deemed too horticulturally significant to risk moving. The remaining metal exoskeleton – composed of cast iron, steel and timber – registers indexical marks of its use over time. The very memory of the plants, even when absent, is apparent in every joint opened by root systems, in remnant plant hooks and in exhausted soil. Unsurprisingly given the building’s age and technical complexity, the scope of project has increased as the understanding of the building has grown, and as the contractor, ISg, has proceeded with works. 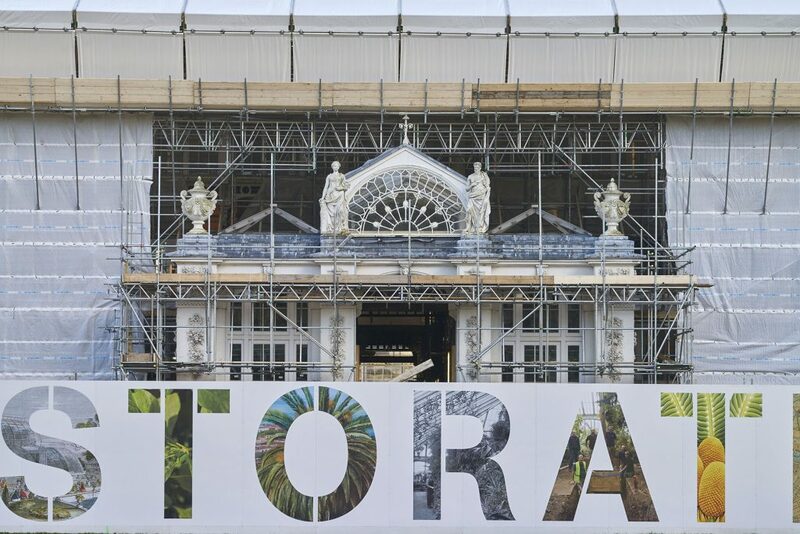 Generously funded by the HLF, DEFRA and numerous private funders, the experience and perception of Temperate House will be redefined as a result of this work. 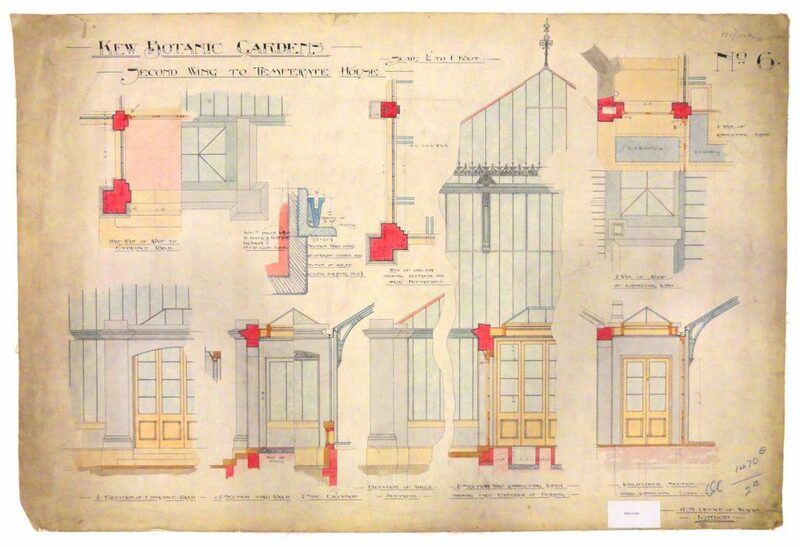 Burton’s original vision for Temperate House will be reawakened, with the adoption of a building plan more closely correlated with the archive information held at the National Archives. Paint analysis revealed that early decorative schemes within the 1860s buildings had stone- coloured walls with pale blue and off-white decoration on the structure. The later-19th-century North and South Blocks originally had a dark green colour scheme. The modern all-over brilliant white decorative scheme will be replaced with polychromatic stone colours, picking out architectural details and high level sculpture. Cleaning of the structure, utilising ultra-high pressure water and crushed garnet blasting to remove the build-up of corrosion, has revealed the original casting marks and metalworkers’ stamps, evidencing the quality and pride in craftsmanship of the Victorian era. New stamps will be added where new materials are used including lead work, replacement castings to the snow guards and finial details. Stamps have been omitted purposefully from the new glazing to maintain the purity of light transmission and reflection. These works acknowledge the passage of time and our own part in that process. Landscaping and accessibility, both internally and in the approach to the building, will be improved, providing parity of esteem to all visitors. There will also be new WC facilities and a new education space that will offer Kew greater opportunities to engage new audiences and reinforce the scientific basis of its foundation. The visitor experience will be enhanced with interpretation, guiding the passage of visitors through a suite of five interconnected buildings. This will allow the visitor to experience sub-tropical worlds, all the while located in leafy suburban TW9. To facilitate the re-painting and re-glazing of such a large structure 69,151 individual component parts had to be dismantled, recorded, logged and stored. 3D software and QR codes linked to an app have registered originating position, grid line and current location. In retrospect, dismantling the building was the easy part. Reinstatement created many challenges including sequencing and late design improvements, especially to junctions and weathering details. Sixteen apprentices have been employed as part of the project, learning the skills of building conservation and horticulture. The project has developed strong local connections between education and place, reinforced the critical scientific work undertaken at Kew and the sublime architecture within its grounds. Temperate House is due to re-open in May 2018, marking the end of our eight-year tenure on this project. 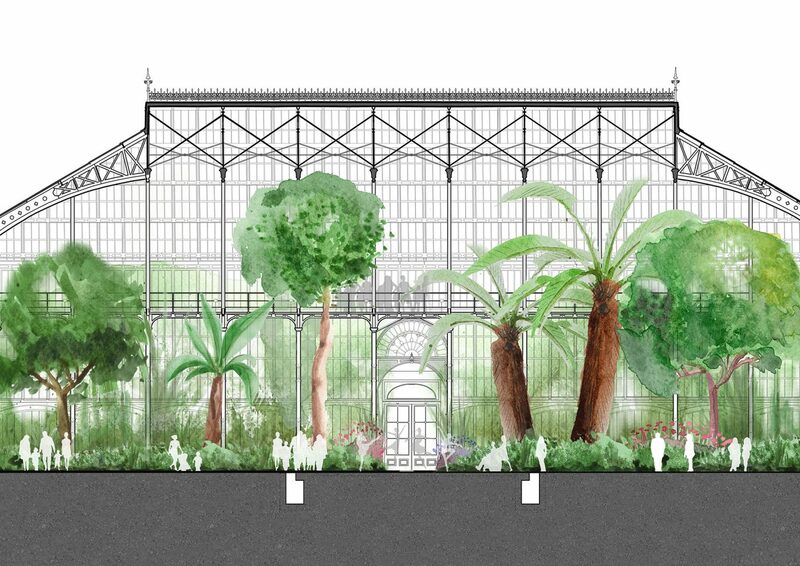 However, Donald Insall Associates’ involvement at Kew Gardens will continue, with exciting prospects ahead, including Palm House and several private residences within the estate.